Mmmmmm, post-New Year’s Eve apps make for a fabulous hash, reminiscent of migas. 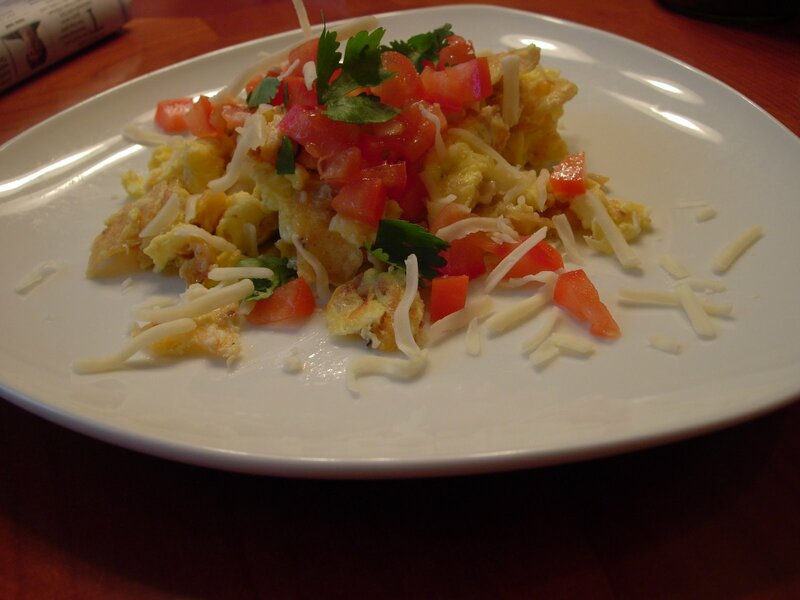 Alex and I made the apps, Roast Chicken-Chipotle Nachos with Cilantro-Avocado Crema, last night then I simply quartered the leftovers, added 4 eggs, scrambled it into an egg hash, topped with tomato, jack cheese and salsa. Natch!